The library has 11 computers – 6 desktops and 2 laptops – for use within the library. Users are allowed access on a first-come first-served basis and are allotted 2 hours of time per day of use. 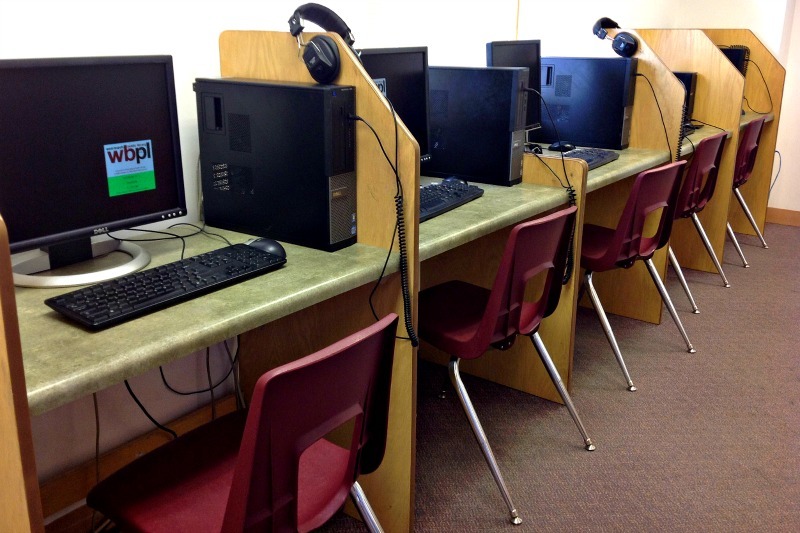 Regular library users can log onto the computers by using their library ID and phone number. The ID can be found on the back of your library card – follow the information in Accessing Your Account. For any further assistance using the computers, please ask a the library front desk. The library also has free Wi-Fi to anyone with a supported device. Please visit the Wi-Fi page for details. The library now has 2 Chromebook laptops* for checkout and use outside of the library. 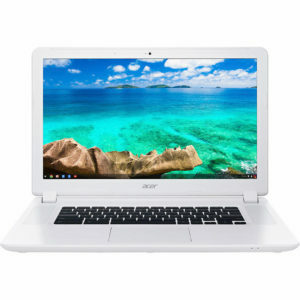 The Chromebooks do not have any specific software installed and run off of the Google apps that a user personally applies to a Google Account. The Chromebooks check out like books, but require that the patron be 14 years of age or older. They check out for a 1 week period like DVDs, CDs, and video games, but have a fine of $1 per day. Also, since they are more expensive than a regular library item, $300 may be charged if the device is damaged through negligence. Included with the device is a booklet offering some initial guidance for use.